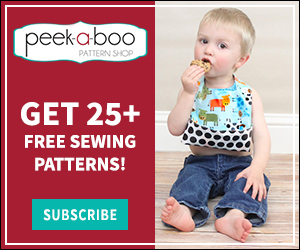 Sewing on leather and vinyl - Peek-a-Boo Pages - Patterns, Fabric & More! I will be completely honest and say, I was very intimidated by the thought of sewing leather and vinyl. I work with it quite a bit since I am semi-obsessed with bag making. Now, I will share with you some things that I have learned a long the way. 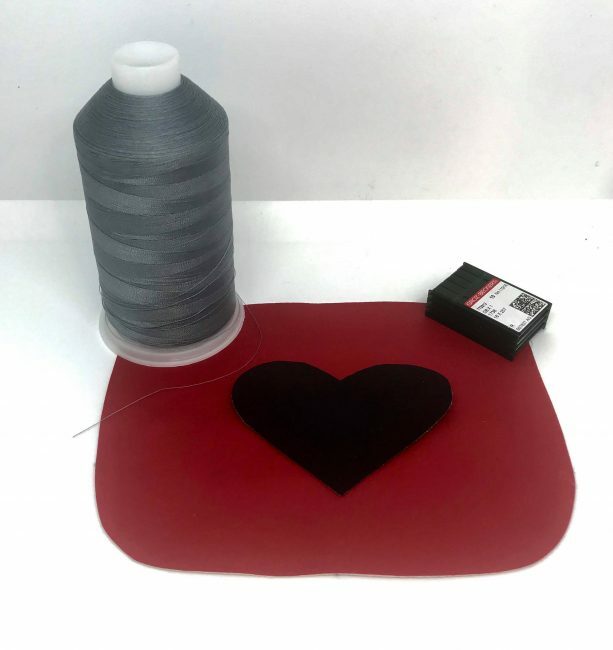 Here are some supplies that will be very helpful for you to have on hand when sewing with leather or vinyl. 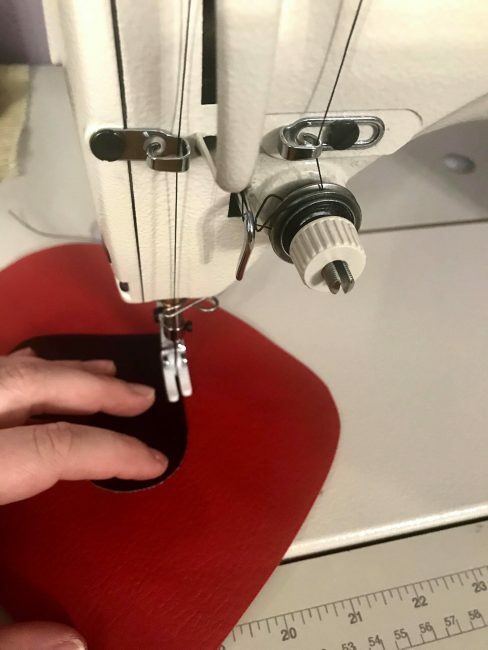 I sew on an industrial machine and while some machines do just fine with heavy duty, others will not work well. You will need to read up on your machine and machine settings for heavy duty fabrics and the like. 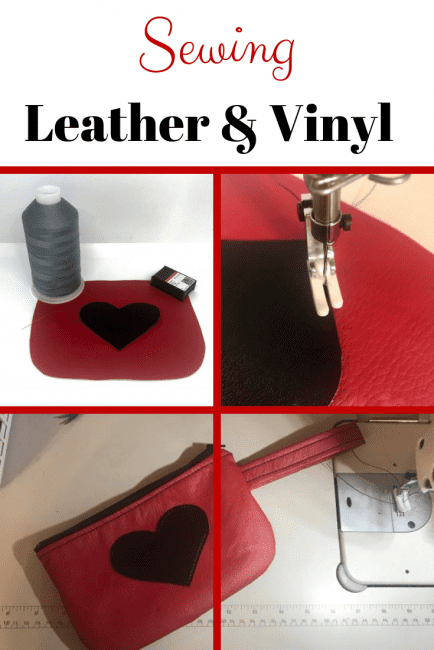 When sewing on leather or vinyl the biggest suggestion I have is to try out vinyl first. Leather is a more expensive material and you don’t want to make expensive mistakes. Since these material are not as forgiving, you need wonder clips or the single prong metal clips since you don’t want to pierce the fabric. Pins leave holes behind. 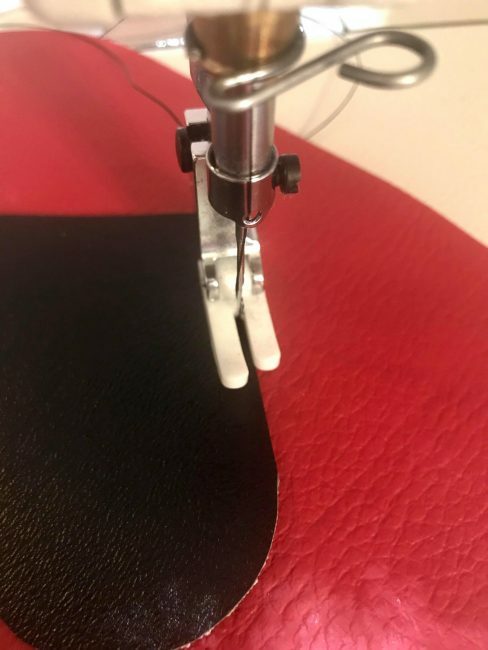 When sewing leather or vinyl, keep in mind anything you sew and rip out WILL show. 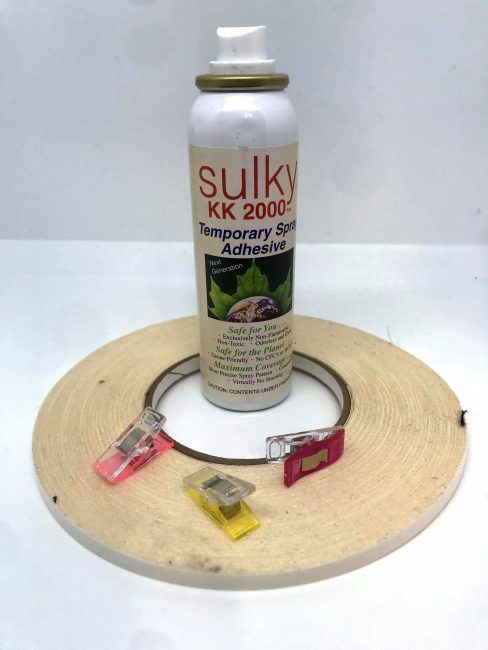 Adhesive spray and leather tapes are great tools to keep items in place when you are sewing in areas that you can’t use clips. Using a heavy duty thread such as bonded thread (polyester or nylon) and heavy duty or leather needles to get you the best results. On some machines, you may have to adjust your tension or there may be a setting for sewing heavier items. Check your owners manual for the correct setting since many machines are different. I personally use a teflon foot and it works just fine but a walking foot would be even better. For a quick leather sewing project, check out our Leather Key Fob. 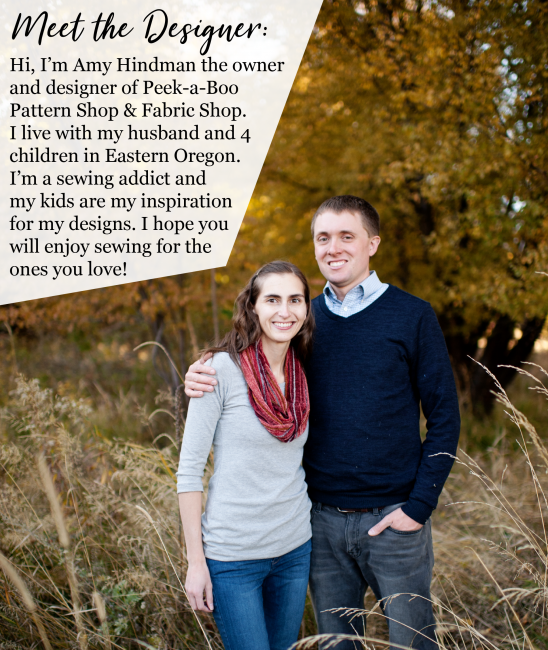 If you need help or would like to share your projects, come join the Peekaboo Facebook Group.